MoonDash - new faucet from moon Family! MoonDash is part of the series of sites like MoonBitcoin, MoonLitecoin or MoonDogecoin. Here the principle remains the same, you can cashout your Dash whenever you want. Of course, the longer you wait, the more Dash you have. 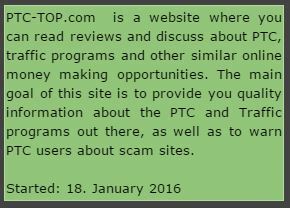 A very interesting sponsorship system at 25% of the earnings of your referees. Created in 2012 the DASH (formerly Darkcoin) is priced from 300 to 400 dollars currently (2017). 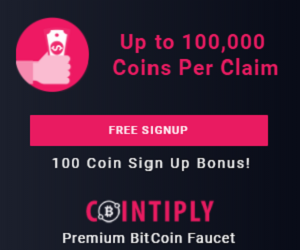 By registering on coinpot you can maximize your winnings. 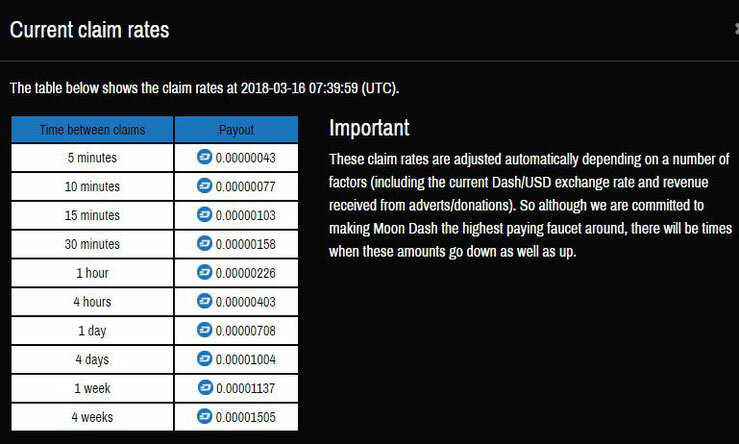 Moon Dash is a dash faucet with a difference…YOU decide how often to claim! Daily Loyalty Bonus, Referral Bonus and Mystery Bonus schemes!